I have long been a fan of Katie Piper since I first watched the documentary following her recovery from her acid attack. I think she is an amazing and brave woman. Katie is a model, presenter and does an incredible amount of work for charity. 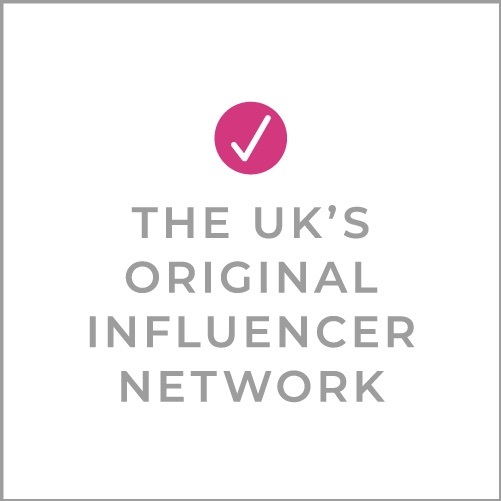 She was also a speaker at BritMums live a few years ago, so has a special place in the hearts of the BritMums team too. Katie has teamed up with Wantthattrend.com founder Victoria Molyneux to create a collection of maternity dresses for expectant mothers to feel modern and stylish in. 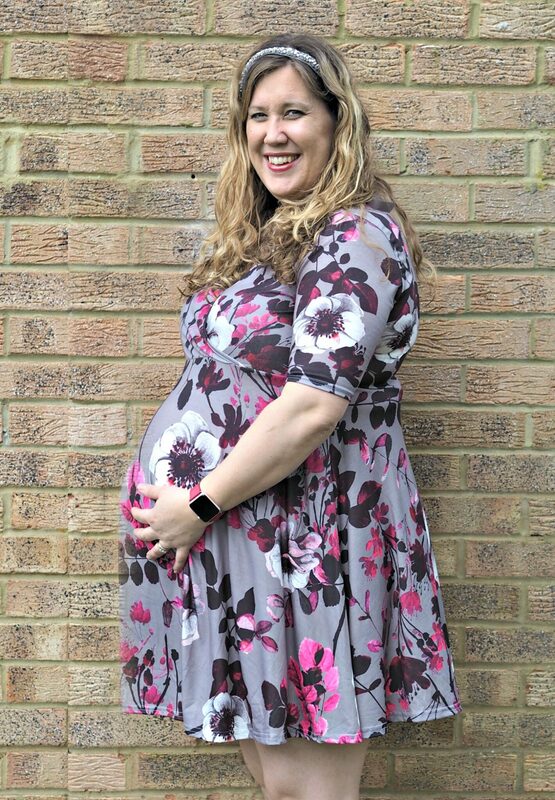 I’m currently 33 weeks pregnant with my third child and I have to say this time around I have really felt like there is a lack of stylish and colourful maternity clothes out there, so I was really excited to be given the chance to review three dresses from the collection. For the purposes of these reviews, I am wearing a size 18 and I am just under 5’7″ tall. The first thing that attracted me to this address was the really pretty floral print. I love floral prints and most of my normal wardrobe is made up of them and there is definitely a lack of florals in most brands maternity ranges. They tend to be plainer colours or stripes. The dress has a wrap front and I’m coming close to the end of my pregnancy now I also thought it would be good for breastfeeding after baby arrives. The fabric was really soft and comfortable. I liked the slightly longer sleeves too. In general with all of the dresses I wished that they were all a bit longer, they look fine modelled on Katie but she is a lot shorter than me a 5’2″. It could be that I am a bigger dress size, but as I have two small children already there is a practicality to it too and being able to look after them without bending over and frightening everyone with my scary maternity knickers is actually quite a big consideration! This dress was particularly short on me, so much so that I felt uncomfortable wearing it. Which is a real shame as it’s gorgeous. If it sat just below the knee it would be perfect, but as it is I would only wear it with leggings. As I mentioned I think it might also work as a breastfeeding dress, so when bump is out hopefully it will be that be longer and more wearable in that respect. What I didn’t love: The length, it was just too short for me to feel comfortable and would definitely have to wear leggings underneath it. This dress is a lovely classic style and looks completely fabulous on Katie on the website. I’ll be honest the straps on it totally baffled me, and it took me about 5 or 6 attempts to get it on and work out how to wear them. Looking back at my photos now I’m not quite sure I even got them right! I loved the flattering fit, the way it nips in at the waist and out again, as well as the fullness of the skirt. I wished I could wear a bra with it, I could never not wear a bra and I’m not sure you can even buy strapless maternity bras, so I just ended up just tucking my straps in to wear it. But other than that I thought it was a beautiful dress. It would be great dressed up or down. What I loved: Classic style and flattering fit. What I didn’t love: The straps and not being able to wear a bra with it. I think this dress is probably my favourite dress of the three and is definitely really good value. It has a double layered front to enable you to breastfeed after the baby has come and it’s a great classic little black dress. 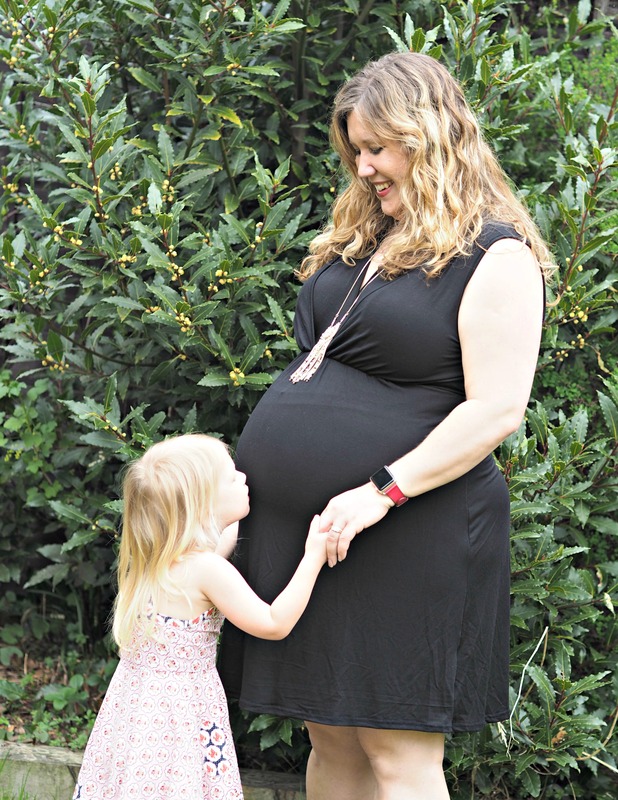 Even pregnant and breastfeeding ladies need a classic LBD in their wardrobe! It was also the dress I felt the most confident in. As with the others really, I would love it just to be a little bit longer, but for breastfeeding I don’t think this will be so much of a problem and styled with black tights and heeled boots on cooler days I think it would look great. What I loved: Felt really confident in it, loved the double layered front. What I didn’t love: Would love it to be an inch longer. Thank you to Want That Trend.com for the dresses they sent for the purpose of this review.